Free speech is fundamental to what it means to be a university. It is fundamental to undertaking researc­h and ensuring students can grow intellectually. 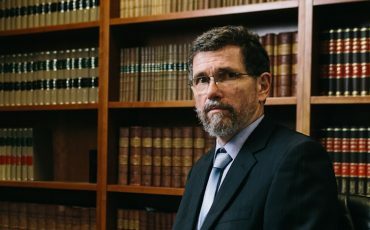 The government’s announcement that former chief justice Robert French will lead an inquiry into freedom of speech at universities is welcome and important. 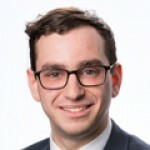 Australia’s universities should embrace the opportunity to ­review and improve their policies and institutional culture. Federal Education Minister Dan Tehan has said French will review codes of conduct, enterprise agreements and strategic plans, the effectiveness of the existi­ng legal framework, and international approaches to the promotion of freedom of express­ion in higher education. Our universities are failing to protect free intellectual inquiry. The Free Speech on Campus Audit 2017 conducted by the Instit­ute of Public Affairs, which assessed more than 165 policies and actions at Aust­ralia’s 42 universities, found that four in five have policies or have taken action hostile to free speech. It also found that just eight of Australia’s 42 universities have stand-alone policies on freedom of expression, as mandated by the Higher Education Support Act 2003. University policies prevent “insulting” and “unwelcome” comments, “offensive” language and, in some cases, “sarcasm”. Curtin University’s student conduct policy, for example, define­s harassment as “any form of unwanted or unwelcome behavi­our that is offensive to you”. La Trobe University defines bullying to include “unintentional … offence” and insists students not use language that causes “emotional injury”. A dozen universit­ies, including the Australian National University, Monash and UNSW, maintain blasphemy provisio­ns which forbid offending on the basis of religion. There have also been a number of concerning incidents. 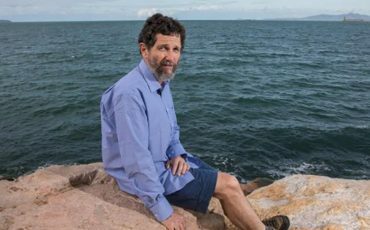 James Cook University sacked Peter Ridd after he expressed a contrarian opinion on the science behind the Great Barrier Reef. The riot squad was called to the University of Sydney because of a violent protest against psycholo­gist Bettina Arndt. The university charged students a security fee to host the event, encouraging the censorious “heckler’s veto”. ­Victoria University cancelled an event featuring the screening of a film critical of the China-funded Confucius Institutes. French will be able to develop a sector-led code of conduct inspired by the University of Chicago. The Chicago Statement says that “it is not the proper role of the university to attempt to shield individuals from ideas and opinions they find unwelcome, disagreeable, or even deeply offensive”. While welcoming criticism of invited speakers, it also concludes it is wrong to “obstruct or otherwise interfere with the freedom of others to express views”. Following the precedent set by a dozen US states, Australia should legislate the Chicago statement principles. Policy reform is welcome and important. Nevertheless, the challenge faced by Australia’s universities is broader and deeper. Australia’s universities are lacking viewpoint diversity — ­ differen­t perspectives challenging each other in the pursuit of truth. This leads to a culture of censorship in which individuals who speak out are treated as heretics, and proposals such as those of the Ramsay Centre for Western Civil­isation are vehemently opposed. The lack of viewpoint diversity also leads to self-censorship. ­Earlier this month Andrew Marzon­i wrote in The Washington Post that “academia is a cult … rooted in submission to a dogma manifested by an authority ­figure” in the form of tenured professor­s. University of Adelaide senior lecturer Florian Ploeckl has warned that “funding is easier and more plentiful if you pick the right topic, publishing is easier if you don’t rock the boat, and life in the department is easier if you see the world in the same way your colleagues do”. The purpose of a university is undermined by a culture that can’t handle dissent. Research depend­s on individuals with differen­t perspectives challenging each other’s findings to defeat motivated reasoning. Reforming policies is an important first step, but Australia’s universities have a long journey ahead to once again become bastions of free intellectual inquiry.